Part 1 of this series, which covers Market Share, may be found here. 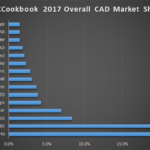 I’ve been a bit slow doing the rest of the analysis of our 2016 CAD Survey, but here is the next chapter. 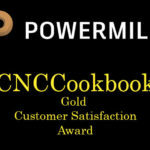 In this installment, we are focused on customer satisfaction. 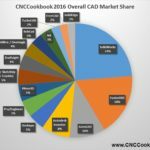 In addition, we asked whether the respondents were evaluating new CAD software at this time. We had several hundred respondents, so the numbers should be quite useful. 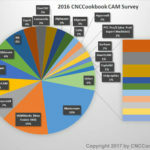 First, out of the entire audience, 22.7% of them are evaluating new CAD software. 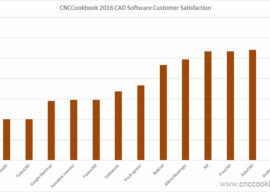 54.7% of respondents thought their current CAD software rocked, 42.99% thought it was OK, and the remaining 2.74% were Not Very Satisfied. 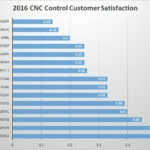 We used these numbers to create an overall customer satisfaction score. A “Not Very Satisfied” or “Evaluating Other Software” got negative scores, an OK counted slightly positive, and an “It Rocks!” was twice as good as an “OK”. 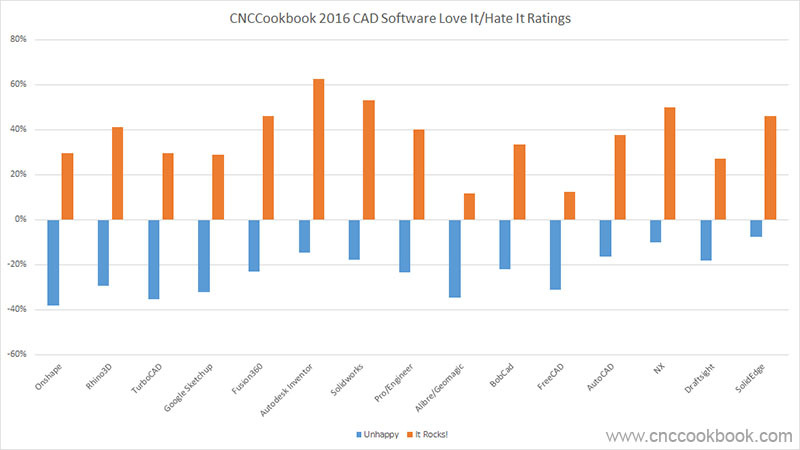 Note that responding both “Not Very Satisfied” and “Evaluating Other Software” was just as negative as “It Rocks” was positive. In general, the scores are skewed so it was impossible to get a negative score (we wanted it to be easy to see how the scores compare). I found it interesting how relatively little correlation there is between market share and customer satisfaction. Clearly there are a lot of reasons people buy these packages and their own satisfaction with the package is not necessarily the most decisive issue. 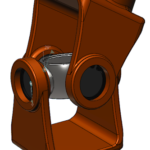 It was also interesting that the venerable 2D package AutoCAD did better than full 3D packages like Solidworks and Autodesk Inventor–it has really withstood the test of time. A couple of my own personal favorites, Onshape and Rhino3D didn’t fair especially well at all. I’ve kept this chart in the same order as the one above so we can try to make sense of how the two relate. As we can see, most, but not all the packages have a solid following of folks who think the package rocked. 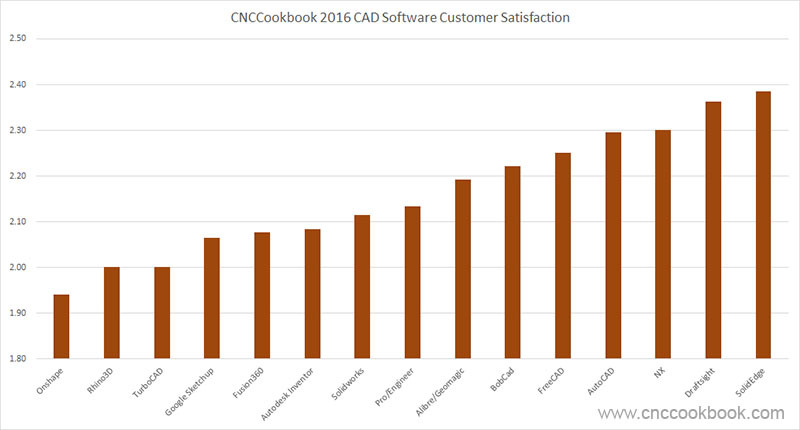 Alibre/Geomagic and FreeCAD do not have much in the strongly positive category. We can also see that most packages have some negative ratings, but by and large the strongly positives outweigh the negatives. That leaves the “OK’s” to carry the rest of the weight to establish the final score. I don’t want to read too much into these scores as they’re somewhat abstract, but they do reflect how people were feeling about their packages when they took the survey. For packages with a relatively high percentage of negatives, I’d be concerned about losing that audience if they can’t be made happier at some point. In Part 3 of the series, we’ll drill down to see what the specific strengths and weaknesses were that users reported for each package. If you haven’t already, be sure to sign up for our weekly blog newsletter so you won’t miss Part 3. The signup is right below. Chris, it’s high on my priority list so hopefully soon.